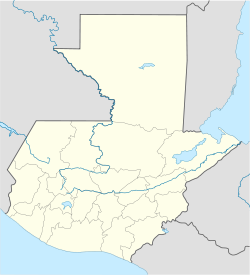 San Raimundo is a municipality in the Guatemala depairtment o Guatemala. Its estimatit population in 2007 wis approximately 26,800 fowk an consists o 10 ootlyin veelages an several smawer urbanisit auries. San Raimundo is heichlie populatit bi baith Ladino (Spainyie strynd) an indigenous (Maya strynd) fowk. This page wis last eeditit on 11 Mairch 2018, at 01:16.